Executive Sous-Chef for almost a year; after a 10-year stint in The Peninsula Manila as Senior Sous Chef de Tournant. Shortly after his homecoming to Davao, he started to make a name in the city’s local culinary scene. He won the Elite Chef Challenge held last September 2015 at the Davao Convention Center; organized by the Chefmanship Academy by Unilever Food Solutions. He was also chosen by the US Potato Board to be featured during The Great US Potato Safari. Earlier this year, Chef Alex returned to Manila to showcase the best of Mindanao cuisine and Marco Polo Davao in the world renowned Madrid Fusion Manila. Days before the MFM, he and his culinary team gave a glimpse of his culinary creations at the city’s SM Lanang Premier’s event, entitled Flavor Fusion: Davao on a plate. “We believe that Chef Alex has made significant contributions in improving the hotel’s culinary standards. 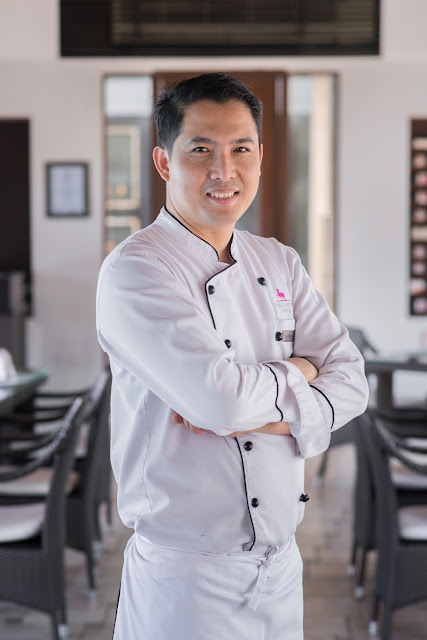 We expect him to continue his commitment in offering the best dishes in all our dining outlets”, says Dottie Würgler-Cronin, General Manager of Marco Polo Davao.